An irate Ninja Man is of the opinion that every living entertainer and musicians should have made an effort to attend the funeral of John Holt. John Holt was laid to rest on Monday at the Dovecot Memorial Park following a church service at the Holy Trinity Cathedral. 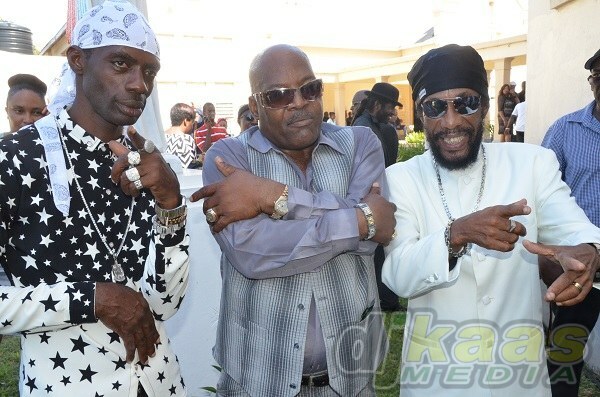 Jimmy Cliff, Luciano, Ninja Man, Wee Pow, Daddy U-Roy, Josey Wales, Ken Booth and Bongo Herman among others were in attendance to bid their final farewell to John. Government ministers Olivia ‘Babsy’ Grange and Lisa Hanna were also in attendance.